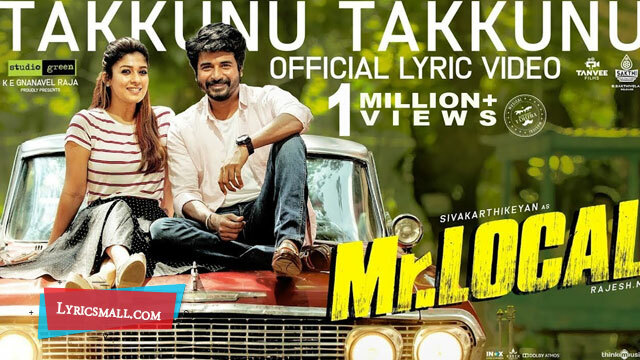 Takkunu Takkunu Song lyrics from Mr.Local Tamil Movie. Directed by Rajesh.M. Produced by K E Gnanavel Raja under the banner Studio Green. Starring Sivakarthikeyan and Nayanthara in lead roles. Music composed by Hiphop Tamizha. Lyrics were written by Mirchi Vijay. Sung by Anirudh Ravichander and Additional vocals – Nakul Abhyankar, Keshav. Song released under Think Music India official label.